- This 50-hour course provides you with all the necessary skills to improve your test score. We guarantee that you will improve your score (or your money back!). - Come in and do a free mock test to get your score and get placed in our IELTS class in Bangalore. IELTS Academic Training- IELTS Academic Training is for those test-takers who desire to study at under-graduate or post-graduate levels. This test is also for those who need professional registration. We are the preferred training company among the students aspiring to pursue their undergraduate education in USA. Some of our top scores on IELTS range from 7.5 to 8.5. Many students have scored more than 7. The primary reasons for the high success rate of our students in achieving the top scores on IELTS. The IELTS Academic test is for people applying for higher education or professional registration in an English speaking environment. It reflects some of the features of academic language and assesses whether you are ready to begin studying or training.This approach is widely supported by the institutions that recognise IELTS. Therefore, students preparing for the IELTS test have to spend dedicated time to learn strategies to master these skills and then practice under the guidance of our trainers. 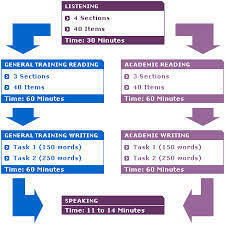 This is what our IELTS coaching offers to you. This can help gain maximum benefit in minimum time. IELTS test is carried out over a span of two days. This is an English language test to those who wish to go to countries like US, UK, Australia, Canada and New Zealand, either for higher studies or for job. This test measures your ability to communicate in colleges and universities. Opening the door to both education and employment, the IELTS exam is internationally recognised and indeed is compulsory for entrance to many university courses. Available in a general and academic course, depending on the needs of the learner. Certified IELTS Trainer with 5+ years of Work Experience Only Ielts Prep in Bangalore teaching from the Basics; 80% of our students scored 7+ in IELTS Course fee 5500-/-; Weekday & Weekend Classes Available; Call 9740335840 for more details. International English Language Testing System is a global certification that is required by educational institutions, employers and government immigration agencies to validate the English language skills of a student, employee or immigrant, respectively.